Memphis Redbirds pitcher Dakota Hudson recently got called up to Major League Baseball in an interesting way. 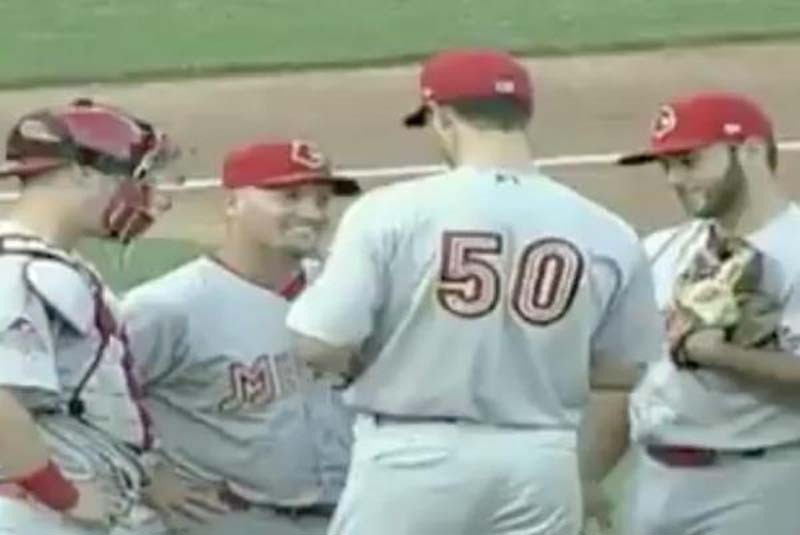 Redbirds manager Stubby Clapp had the honor of breaking the news to the right hander. Hudson was pitching in the first inning on Wednesday against the Salt Lake Bees during the sequence. [post_ads]He went three up and three down in the bottom of the first inning, quieting the Bees' bats. He then stepped up to pitch the second inning. Hudson walked Jared Walsh, before allowing a single to Jose Fernandez. Dustin Ackley was about to step into the box before Clapp walked out to the mound. Clapp got in a few words before handing a ball to the right hander. He then hugged Hudson as his teammates gave him a round of applause and shared more embraces in the dugout. "At first I didn't know what was going on, so a little bit of anger when he started walking out there," Hudson told reporters. "As soon as he told me, you can't be anything but happy." Hudson said the ball he was given said "this is your call" on it. ICYMI: This is what a dream coming true looks like.